The American Academy of Pediatrics released an updated policy statement this week on media use in children under 2, and no surprise, they continue to "discourage" it. This, despite their acknowledgement that "no longitudinal study has determined the long-term effects of media use" in this age group. (Read my earlier post on the supposed harms of baby videos.) I read the statement carefully, and it is, shall we say, a quixotic document. Here's one helpful tidbit on how to watch a toddler without resorting to television: "Simply having a young child play with nesting cups on the kitchen floor while a parent prepares dinner is useful playtime." The last time I tried that with JoJo, he pulled a bottle of beer out of the minifridge and smashed it on the floor. So even if T.V. is decreasing the number of folds in his brain, at least I don't have to worry about an episode of Yo Gabba Gabba ending in a trip to the E.R. Sometimes I think that the AAP just needs to get off its high horse and live the life of a real parent. Speaking of high horses, some years ago, my 3-year-old son ran up to me as I walked through the front door and gabbled, "Mommy Mommy! Daddy was watching this T.V. show and a man was in bed and the man looked at his hand and his hand was wet and his hand was covered in blood and he looked up and there was a HORSE'S HEAD!" I rounded on Rick, "You let J.J. watch The Godfather?!" He shrugged and said, "I didn't know he was paying attention." No more Mafia movies for my kids. 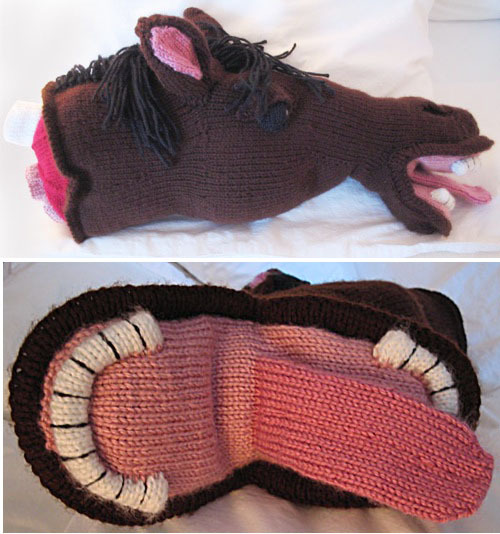 Just adorable, knitted horses' heads. That, my readers, is an example of background television, and the AAP statement devoted a special section to this form of media exposure. Foreground television, such as Baby Einstein, is designed with children in mind. Background T.V. is not designed for kids, but they might be exposed to it for many more hours than foreground T.V. The question is whether background T.V. affects child development in any way. The AAP highlighted two studies suggesting negative outcomes, so let's take a close look at these. In one study, investigators looked at whether the game show Jeopardy affected the solitary play behavior of 1- to 3- year olds. (I guess the Netflix queue for Godfather was too long. *) As expected, when the T.V. was on, the toddlers didn't pay much attention to it, spending only 5% of their time with their eyes on the screen. Correspondingly, the amount of play decreased by 5% with the T.V. on. The authors made much of the fact that although the quantity of play didn't decrease substantially, play was interrupted more frequently, with play episodes lasting about 30 seconds less with the T.V. on. They also noticed that "focused" play episodes (defined among other things as the child having a "serious facial expression with furrowed brow") were also shorter -- by 5 seconds. 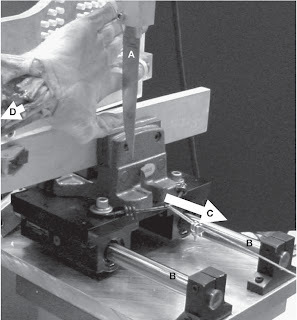 A similar study, performed by the same group, looked at the influence of background T.V. on parent-child interactions. When the T.V. was on, parents interacted less with their kids, and the quality of their interactions suffered, with more absent-minded behaviors, such as grooming, and less imaginative play. Finally, having the T.V. on also resulted in parents responding less to their toddlers' bids for attention. I always knew my kids tune me out when the T.V. is on, but I guess I'm doing the same to them. So what's the take home message about background T.V. in young children? From a purely anecdotal point of view, I wouldn't recommend watching anything with Al Pacino in it while your kids are still awake. From the evidence-based standpoint, the research is scant but generally shows negative short-term effects of uncertain importance. How much T.V. is too much? 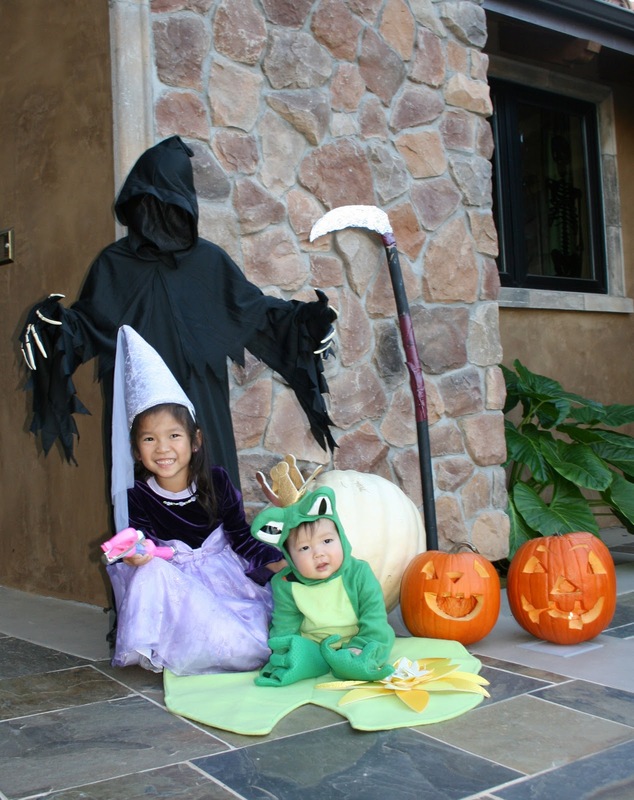 Thirty-nine percent of parents say that the T.V. is on "constantly" in their household. What the heck, I'm willing to go out on a limb** and say that's too much. *Although probably not anymore. R.I.P., Quickster. Yours was a short, sad, badly named life. **I was going to write "stick out my neck," but I've already gone overboard with the decapitation allusions. I don't want to beat a dead horse. Last week, JoJo spiked a temp to 102.7. Since he was already scheduled for his 18-month visit, I had the pediatrician gave him the once over. She diagnosed him with otitis media, or middle ear infection, but her diagnosis was essentially just an FYI. Since ear infections often get better on their own, the doc recommended antibiotics only if he didn't improve in the next 48 hours. I knew she was right. But dadgammit, I wanted to start those antibiotics so he could get back to daycare ASAP, and I could get a good night's sleep! It's times like these when it's tough to be an Evidence-Based Mommy. Here's the argument against routine antibiotics: Some ear infections are caused by viruses, and as you know, antibiotics don't kill viruses. Even mild bacterial infections self-resolve at times. Antibiotics can shorten the course of illness and prevent rare complications such as bone infection and hearing loss, but at the cost of increasing drug resistance. So what may help a patient on the individual level may hurt patients on a societal level. A recently updated meta-analysis of eleven randomized, double-blinded trials of over 2000 children with ear infections found only a small benefit with antibiotics: 78% in the placebo groups recovered spontaneously within 2 to 7 days, compared to 84% in the antibiotic groups. There was no difference in serious complications. Those on antibiotics also had a 4% absolute increase in vomiting, diarrhea and rash. So taking the 6% benefit and subtracting the 4% detriment, you get, on balance, a measly 2% absolute benefit from taking antibiotics. A review of four other trials found that there was no difference in starting antibiotics immediately versus waiting 48 hours for spontaneous improvement. So even from the standpoint of an individual child, you could make a strong argument to watch and wait. There were certain subgroups that benefited more from immediate antibiotics: children under 2 who had infections on both sides, or those with pus pouring out of their ears. In general, though, antibiotics were almost a wash. Contrast these results with those of a study published this year. In this randomized trial of children with ear infections, treatment failed in 45% in the placebo group, compared to 19% in the antibiotic group, with an absolute benefit of 26% - much better than the 4% reported in the past. Not only that, but antibiotics led to resolution of fever within 6 hours, as well as fewer days of missed work in parents whose kids were in daycare. Sadly, these benefits still came with a price: a 25% increase in diarrhea in the antibiotic group. 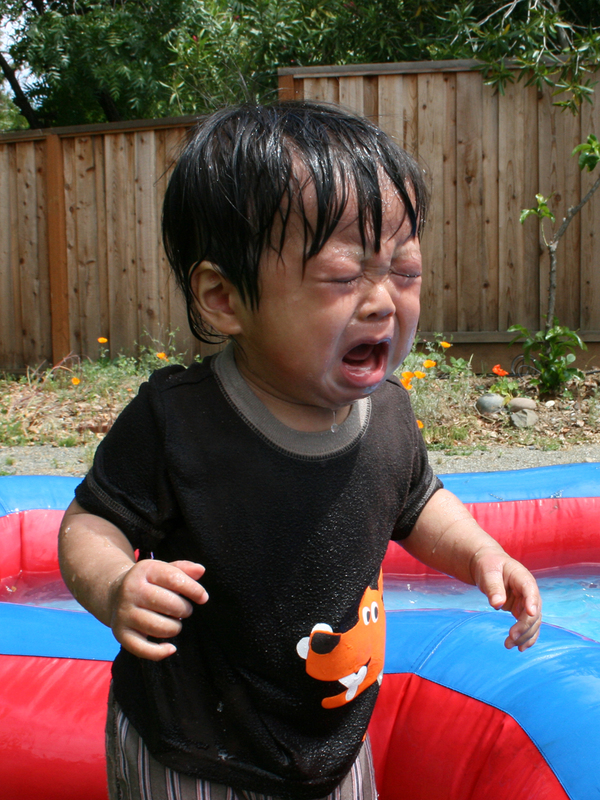 So pick your poison: irritable baby or irritable, diaper-changing parent? Still, you might wonder why the results of this trial were so much more impressive than that of previous studies. The 2011 study had very strict criteria for middle ear infection, which included a pneumatic otoscopic exam (basically, blowing air into the canal and looking for decreased movement of the eardrum). Although medical students learn this technique, I can tell you that it's rarely used in the primary care setting. Most of the time, pediatricians are just trying to grab a 1-second peek into a screaming baby's ear, and crying itself pinks up the eardrums by dilating blood vessels. Studies have shown that these infections tend to be overdiagnosed, especially when earwax is obstructing the view, so it's no wonder that antibiotics are often of marginal benefit. 1) Is this a pretty clear-cut diagnosis? When doctors are "certain" of their diagnosis, the probability of a "real" otitis media is actually 76% -- which believe it or not, is pretty accurate for a diagnosis based purely on history and physical exam. 2) Do you think it's safe to wait 48 hours to see if my child gets better on his own? *Sorry, I know this is a groaner of a title. As Fred said to George after his ear was sectum sempra'd off, "Pathetic! With the whole wide world of ear-related humor before you....?" **Which hasn't always been the case. I decided not to give my oldest son the antibiotics prescribed to him for an ear infection. He seemed to improve, but on a routine visit a few weeks later, his pediatrician found he had a persistent infection. When he puzzled aloud over why my son "didn't respond" to the antibiotics, I was forced to come clean. My son was deemed cured after a week's worth of treatment/diarrhea, but I've always wondered if my poor maternal decision-making was to blame for his current, frequent refrains of "But Mom, I didn't hear you!" Why buy your carcinogens when you can get them for free? Imagine a place where a child is allowed to buy cigarettes for herself, with only a permission slip from her parents. In many instances, she may smoke her first pack with her mom -- a popular mother-daughter bonding activity. 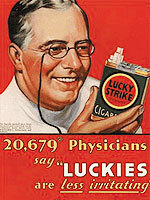 The tobacco industry is completely unregulated, minimizing the risks and touting the health benefits of cigarettes. A popular T.V. celebrity extols the virtuals of the GTL lifestyle -- Gym, Tobacco, Laundry. A 2007 meta-analysis of 19 studies in over 7,000 patients found that indoor tanning is associated with a 15% increased rate of melanoma, the deadliest of all skin cancers. That may not sound like much, but when the analysis looked specifically at indoor tanning in those under 35 years old, there was a 75% increased rate of melanoma. 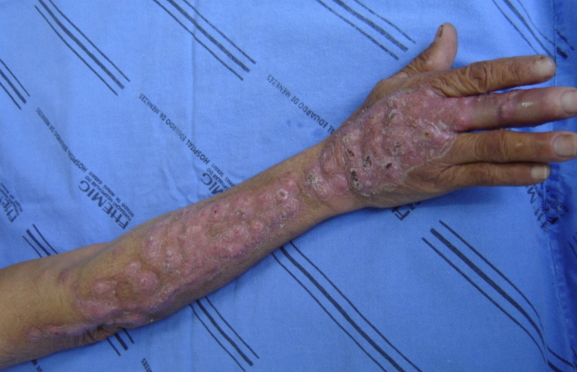 There was also a higher risk of squamous cell carcinoma, which is not as lethal, but more common. Most of these studies were "case-control," meaning they looked at the rates of indoor tanning in those who had been diagnosed with melanoma versus those who hadn't. Sure, you could argue that these findings weren't based on randomized, controlled trials, and that people who go to tanning salons are also more likely to sunbathe (just as smokers are more likely to drink and overeat). 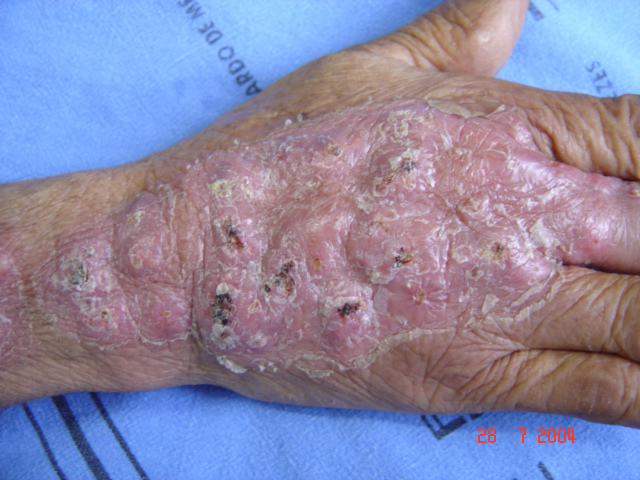 But there is also a large body of laboratory evidence that UV radiation, whether natural or artificial, induces skin cell mutations, the first step in carcinogenesis. The tanning industry minimizes risks and promotes questionable health benefits. Just as the tobacco companies marketed filters for "safer cigarettes," so the tanning industry pushes the concept of the "safe tan." Many companies claim to use only UVA, which is less likely to cause sunburns than UVB. The problem is that both forms of radiation are carcinogenic. Moreover, one can still get burned in a tanning booth, and there are even case reports of patients requiring treatment in a burn unit following indoor tanning. The other argument for a "controlled" indoor tan is that the increase in melanin protects against burns from natural sunlight. Many people using tanning booths to prep themselves for sunbathing. A tan is indeed protective against a sunburn, with a whopping SPF level of 3. Do they even make sunscreen with that SPF level? Increased use of tanning beds has also been associated with more frequent sunburns, so any so-called protective effect is a myth. I tan because it recharges me for work tomorrow." This claim is wrong on so many levels. Vitamin D deficiency is most frequently seen in the elderly and housebound, not exactly the GTL demographic. You need only 15 to 45 minutes a week of sunlight in order stimulate adequate vitamin D production; a 15 to 30-minute indoor tanning session is equivalent to a day on the beach. Finally, only UVB stimulates vitamin D production. 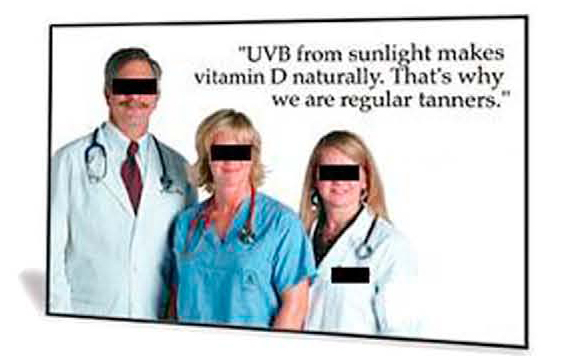 If a tanning salon advertises that it uses only UVA, then the vitamin D argument is patently false. The tanning industry targets youth. A recent study showed that 10% of kids ages 12 to 18 have used a tanning bed at least once in the previous year. The figure is highest in teenage girls ages 15 to 18, with a 25% indoor tanning rate. The incidence of melanoma is increasing more rapidly than that of any other cancer in the U.S. Take a wild guess which population is fueling this rise: young females, with a 2.7% annual increase. Indoor tanning can be addictive. In a survey of 229 college students who used sunbeds, almost 40% met psychiatric criteria for addiction to indoor tanning. When we're exposed to light, our brain produces melanocyte-stimulating hormone (MSH) in order to ramp up production of skin melanin. A byproduct of MSH production is beta-endorphin, a natural opioid. Many users report a sense of relaxation and well-being following a round of indoor tanning, and you can actually block this euphoric response by administering an opiate antagonist. Daylight saving time is ending soon, and many will be tempted to catch their rays indoors. This week, California became the only state in which minors will not be allowed to indoor tan (starting in 2012), even with parental permission. For those of you in the remaining 49, ask yourself: Would I buy cigarettes for my teenager? If the answer is no, then you know what to do with that tanning permission slip. When J.J. was four, he had a psychotic break at the doctor's office when they tried to give him his shots. It took four adults to hold him down, and for years afterward, at every visit the nurse would chirp, "Oh, here's the strong one again!" Now that flu season is approaching, trypanophobia* is setting in again. 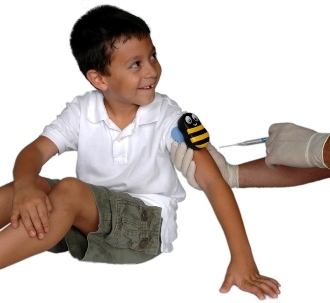 "Getting shots is fun with Buzzy!" 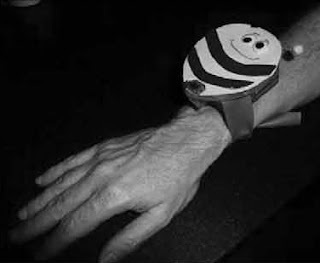 Buzzy reduced the pain of IV insertion by a modest 1 point on a 10-point scale. I wanted to try it on my own kids until I saw the $35 price tag. For that amount, I could buy them a bottle of whisky and bullet to bite on. 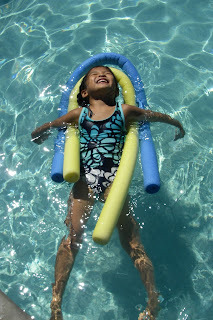 Combined with other measures, this contraption reduced pain in young children. So go ahead, moms, feel free to bring your "personal handheld massagers" to the doctor's office! His score is a full 9, but he's not in pain -- only cold, wet and humiliated. Finally, have you ever considered leaving the room while your child is being poked? My husband does it all the time, since he gets faint at the sight of a needle. One randomized, controlled trial of parental presence vs. absence found that having a parent in the room during immunization increases the level of "behavioral distress," particularly crying, in kids 4 and over. There was no difference between the two groups in the average heart rate, suggesting there was no true difference in their levels of acute pain. Despite the subjective signs of increased distress, when asked afterwards whether they would want their parent with them during future shots, 86% of the kids said that they would. 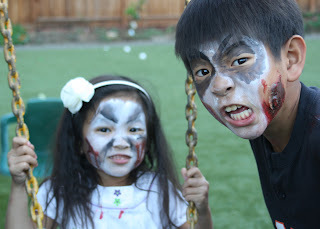 I love that there's proof that kids play to their audience, and yes, I admit, it does make me feel needed. **Unfortunately, all of these RCTs are small and prone to publication bias (i.e., a small positive study is more likely to be published than a small negative one). They are also plagued by lack of blinding, and placebos reduce pain an average of 30-40%. You could argue, though, that since most of these interventions aren't harmful, you might as well use them for their placebo effect. My daughter Sarah started playing chess at age 4, after being taught by her older brother and nanny. Within months, she was trouncing 11-year olds, and J.J. quit playing in frustration. She's since joined a chess club and started private lessons. Though I'm proud of her, I secretly wonder whether this will end up being a waste of time and money. After all, only 5% of registered tournament players are women, and there is only one woman ranked among the top 100 players in the world. The average rating based upon tournament wins is significantly lower in women than in men. 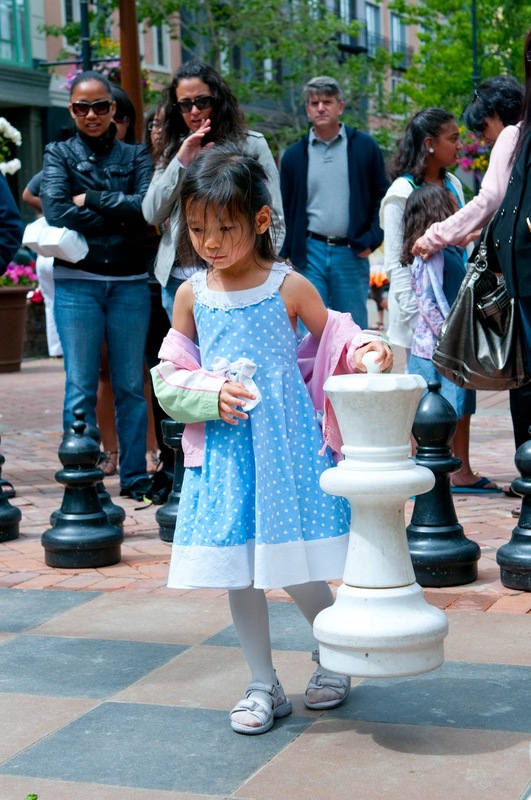 Are girls destined to fail at chess? Let's start with the most discomfiting argument -- that men are better in chess because of their superior intellect. In reality, the average IQ in men is the same as in women. However, boys have a wider natural variability in intelligence than girls; there are more males clustered at the top and bottom of the spectrum. The gender that produced the stars of Jackass is just as capable of producing a Fischer or a Kasparov. Still, this study of the highest end of the spectrum can't explain why the average tournament rating is higher in men. There are other areas in which males outperform females. Boys consistently score better in tests of visual-spatial abilities, including "mental rotation," as well as aggression. All of these skills are vital in chess. Performance in chess is also closely linked to the amount of practice and the number of tournaments played. Perhaps girls are not as monomaniacal as boys? What about the possibility of gender stereotyping and discrimination? It doesn't help when superstars like Kasparov say things like, "there is real chess and there is women's chess....chess does not fit women properly." Still, most chess clubs don't exclude girls, and tournament ratings are objective measures. One fascinating study paired 42 female tournament players with 42 male players, matched for skill. ("Checkmate? The role of gender stereotypes in the ultimate intellectual sport.") The pairs played each other online. In the first scenario, the men were assigned gender-neutral screen names. Women won 50% of the games, as one would predict. In the next scenario, the women were told they were playing other women, even though they were actually playing the same male partners. Again, they won 50% of the games. The women were then told they were playing against men -- again the same male partners -- but this time, they won only 25% of the games! Not only that, but the women played more defensively and less aggressively when told they were playing men. The good news is that the number of girls playing chess is creeping upward, and interestingly, the gender gap in average tournament ratings is starting to shrink. When surveyed, younger women are also less likely than older ones to believe the male dominance stereotype, which could only serve to raise their confidence. Naivete on their part? Perhaps. But I don't plan on telling my daughter otherwise.